The greenhouse at Ruby Young Elementary Medical & Environmental Magnet Academy in DeSoto. Photos courtesy of Patty Wallace. Abraham Lincoln said "The greatest fine art of the future will be the making of a comfortable living from a small piece of land." A hundred and fifty years later, with the growing popularity of urban gardening, his words appear to ring true. As part of that trend, more schools are teaching students the value of growing your own food, including one DeSoto elementary magnet school. Patty Wallace is the environmental science specialist at Ruby Young Elementary Medical & Environmental Magnet Academy in DeSoto. 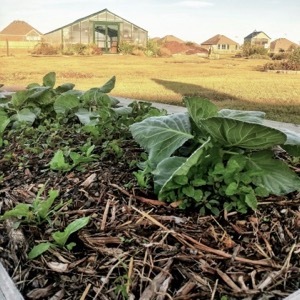 Three years ago, when DeSoto ISD decided that it would turn some of its elementary and middle schools into magnet schools, Ruby Young Elementary already had a big garden and recycling program. So it was a natural fit to designate it as the Medical & Environmental Magnet Academy. Since then, the school's environmental program has blossomed under the auspices of skilled environmental science specialist Patty Wallace. Today, the school features a large greenhouse, a small orchard and an outdoor garden where vegetables are grown to sell to the public. In addition, students enjoy a certified Monarch Butterfly garden and a koi fish pond, all while studying the environment. 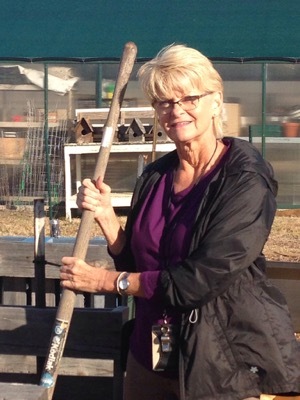 Wallace, a certified Dallas master gardener, has gardened for more than 20 years and continues to take professional development courses to keep up with current knowledge and the environment. Ruby Young Elementary Medical & Environmental Magnet Academy's urban farm. Photo by Feleceia Benton. Students designed seating areas within the garden, built benches and vegetable beds, with which adults helped. Three Dallas County master gardeners, as well as another teacher, come on Thursdays to guide students. Three Eagle Scouts completed projects in the garden. Wallace and the kids enjoy sharing the school's bounty with others. Teachers and parents purchase the produce and fruit. In addition, a community garden is in the works so that area people can garden. “I don’t think people in the area realize that we have as much as we have,” Wallace says. Because of safety reasons, several adults are always on hand. The program is so popular that they have to turn students away. Minnie Payne is a frequent contributor to GreenSourceDFW.org. She’s written for Pegasus News, Speakeasy, The Senior Voice, and served as copyeditor for DERMASCOPE Magazine. She presently freelances for Frisco STYLE Magazine, Living Magazine, PinPointe Magazine and Texasliving Magazine. She can be reached at jdpmap77@gmail.com.